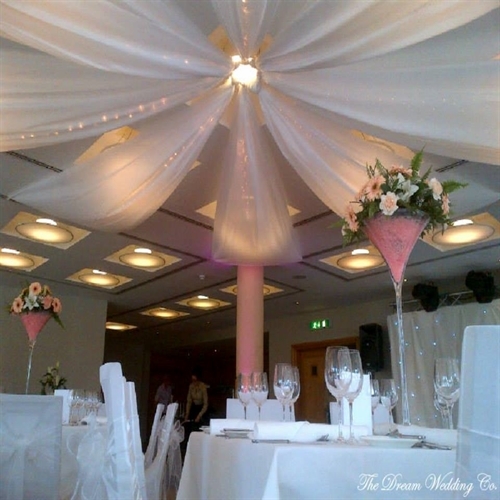 All of our ceiling drapes are available to hire and are versatile to fit most venues. Some venues suit sails from the middle while others suit lines from beam to beam. All of our Drapes are available to hire with and without lights or just lights alone. 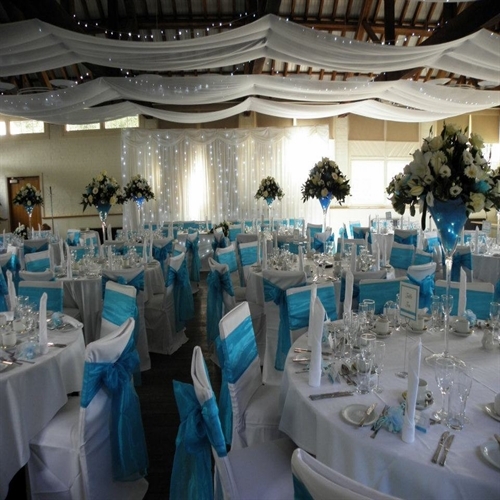 We are familiar with a large amount of local venues so feel free to contact us for more information on ceiling drapes suitable for that venue. 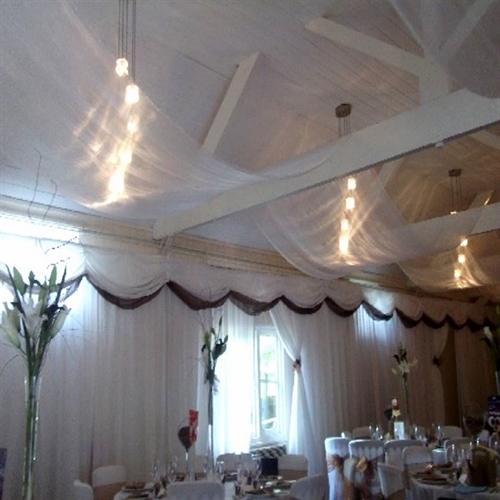 Ceiling Drapes are a great way to cover up unsightly ceilings or ceiling tiles or simply to enhance the current ceiling, looks great in barns. Price depends on the venue, ceiling accessibility, height and size. Available across Herts, Beds and Bucks. Please contact us for a price. 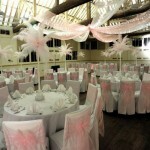 We are a family run business specialising in Venue and Event Decor in and around Hertfordshire. Our aim is to not only full fill your fairy tale wedding but also eliminate as much of the stress of organising your big day as possible. Website designed by James Kember Studios.